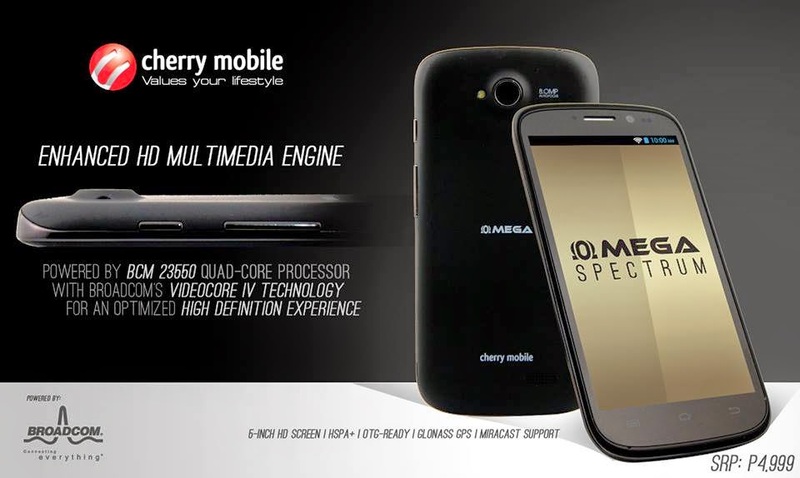 Cherry Mobile Omega Spectrum is a 5-inch IPS screen with scratch-resistant Dragontrail glass, running on Android 4.2.2 Jellybean, powered by 1.2GHz Broadcom BCM 23550 quad-core processor and 1GB of RAM. It also has a 4GB internal storage expandable up to 32GB via microSD support. The device is packed with 2,000mAh battery, 8 megapixel rear camera with auto focus and LED flash, equipped also with 2 megapixel front-facing camera.